Q: You’ve recently announced the successful testing of a geo-redundant eSIM platform; could you tell us something more? A: After the development process in cooperation with tier-1 platform vendor IDEMIA, we completed the testing of the new geo-redundant eSIM platform in several countries. The assessment comprised compatibility testing, live testing in roaming, failover testing, and testing under heavy loading. We have to say that the whole system works pretty well and we are completely satisfied with the results. Now we are preparing for the platform’s commercial launch to our network of distributors in 52 countries. Each of those markets will adopt and customize the eSIM-based products according to their particular market needs, including necessary branding/translation to various languages and API adaptation. Q: What are the benefits of eSIM technology? A: eSIMs aim to replace the traditional removable SIMs, opening more opportunities for mobile network operators and manufacturers. As its “embedded” name suggests, these are soldered into a device’s mainboard, or, in the near future,will even be integrated within the SoC (System on Chip). The significant advantage of the eSIM is that it removes the need for individual SIMs. With eSIMs, the customer no longer needs to physically change from one SIM card to another in order to change over to another mobile network operator. eSIM will provide more opportunities for customers to choose better deals for themselves. As there will be no logistics of physical goods to deal with, it frees the customer from having to decide well in advance of travel what service provider to use. It also improves service availability a great deal since there will be no need to search for physical point of sales and the whole process can be completed online in a matter of minutes. As changing service provider becomes easier, this will increase competition—and competition usually means better offers for customers. The main benefit of eSIMis that since it’s an e-product—like a software or an application in Google Play/AppStore—it can be distributed and consumed digitally, and this removes the logistics chain of the physical plastic, making it easy to deliver to the device and easy to use. eSIMs are rewritable—it’s easy to change when required. The customer may keep multiple eSIM cards in their device. Connecting the eSIM-compatible devices to a mobile account can be done muchfaster, and even automatically. eSIM is more secure than a physical SIM. GSMA continues to work with mobile network operators (MNOs) and other stakeholders to strengthen its security parameters, encryption, and transportation of operator credentials. M2M/IOT B2B customers having the opportunity to benefit from remote SIM-provisioning or to change network operators remotely will be a key factor in managing connectivity on billions of IoT devices in the future. Q: How do you enable global M2M/IoT connectivity? A: We have been selling our global roaming connectivity to regular consumers (travellers) across the globe for more than 15 years in cooperation with several strong MNO partners from key regions, including Europe and Asia. During this time period we dramatically improved our coverage, pricing and reliability of all our systems. 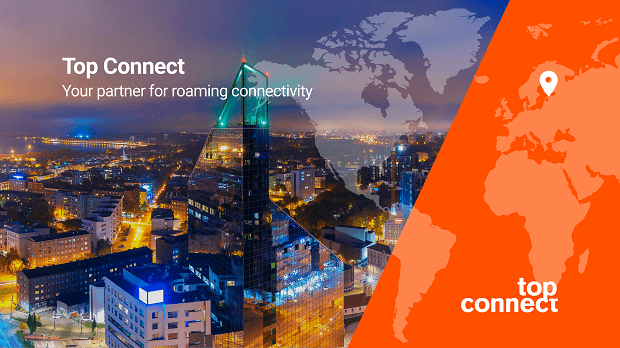 We provide a full connectivity solution, and through ourrobust partnerships with our suppliers we can provide connectivity all over the world where there are mobile networks. Our solution includes much more than just connectivity and basic data, voice and SMS services. For M2M/IOT we provide custom-made integrations and more advanced technological solutions. Q: Why is it the right time for a technology solution like Top Connect? A: The market reached a stage in development where customers became aware of this technology potential. It began with corporate customers demanding more flexibility and freedom from a single service provider, and now private customers are alsolatching onto this idea and raising the bar. In line with this, the device manufacturers have made steps to enable the technology; without devicesthat support it, the technology would not be possible. There is a growing demand for eSIM, and M2M/IoT is growing even faster. Combining these technology developments with our global roaming connectivity helps to create really great products. Our competitive advantage is that we provide not only the regular, reliable solutions and good coverage but also allow the deep integration and even custom-made solutions to support our customers’ businesses. A: Top Connect aims to become the most recognized global M2M/IOT connectivity provider. We solve customer problems related to connectivity, which is the lynchpin for most businesses nowadays. Global trade is huge and constantly growing, which means that assets and goods transported between countries need to be monitored (location, condition etc.). Also the location of a service provider matters less and less,which means remote access is key. In a few years we will have 5G hopefully widely deployed and this opens even bigger opportunities for remotely provided services. This month, the first ‘remotely-carried-out’ brain surgery was successfully undertaken (from a location 3000 km away), which gives a glimpse into the possibilities for connectivity providers.